While your Day Master shows you who you are, your Structure tells you about your behaviour and attitude in relation to the world. 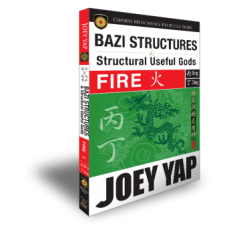 Each book in this series focuses on one specific Structure, and provides ideal careers, job roles, and wealth paths for the Structure. 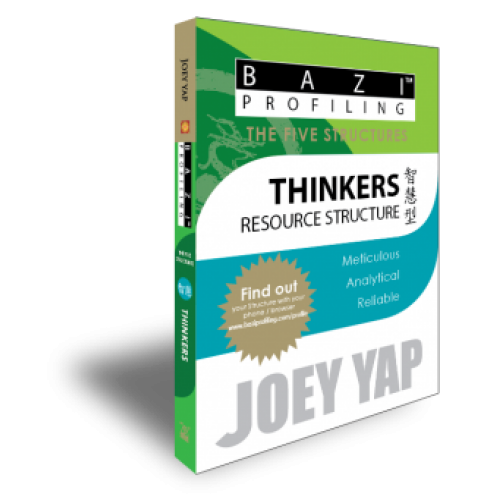 In other words, these 5 guides will provide the blueprint to knowing why some people are the way they are, and what to do to help you deal with the varied and colourful characters in your life. Find out your Structure for FREE! 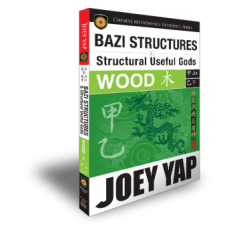 •Understand how you use BaZi in your daily life and how to navigate through the events and people in your world. A zoom into the positive or negative side of your overall personality. As a parent, how would you behave? Distinguish the good parenting traits with the bad ones. We have bright and dark side to us. Know yourself better through this understanding. Your Structure could make or break your Career. Learn how to foster the positive and downplay the opposing traits. A study of how Structure determines your wealth accumulating potential. Examining the best way to effectively strike a connection with a person of particular Structure. Find out how these extreme qualities are manifested.